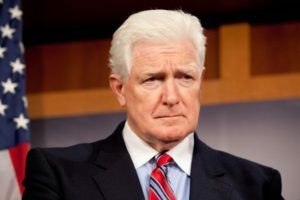 WASHINGTON — Democratic U.S. Representative Jim Moran, a congressional lifer for over two decades, announced that he will retire at the end of his term this year. Moran represented his northern Virginia district and is on Congress’ Appropriations Committee. He joins California Democrat George Miller, a longtime ally of House Democratic leader Nancy Pelosi and New York Democrat Bill Owens will also retire after being elected in 2009. Moran has had a checkered past, such as a domestic violence dispute that led to his divorce from his wife and defending his son who faced similar charges after his girlfriend was found bruised. Some say that ObamaCare has made re-election chances hard for Democrats in both the House and Senate, which is why Democrats are retiring in both chambers. Republicans are also retiring for a myriad of reasons, but some strategists think the Republicans have a chance to take back the Senate and retain control in the House of Representatives.